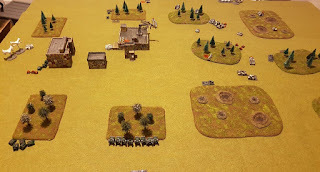 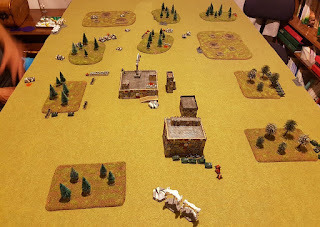 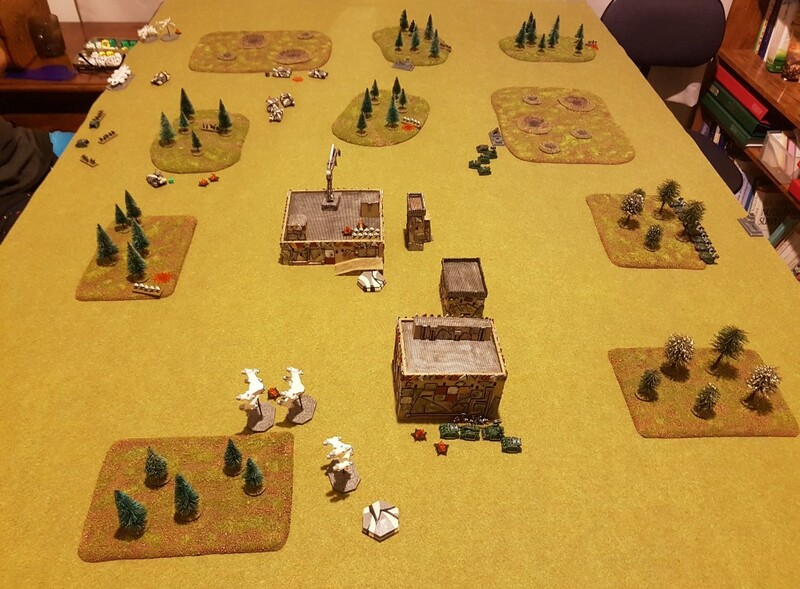 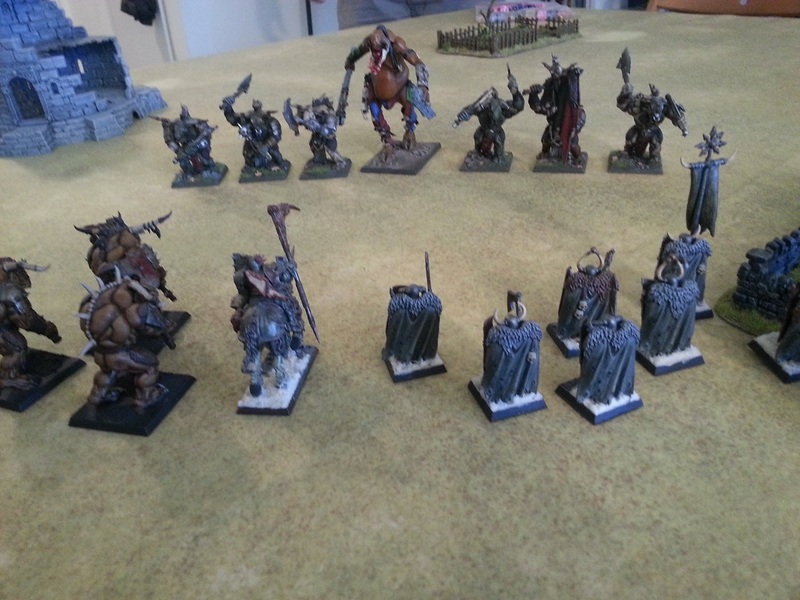 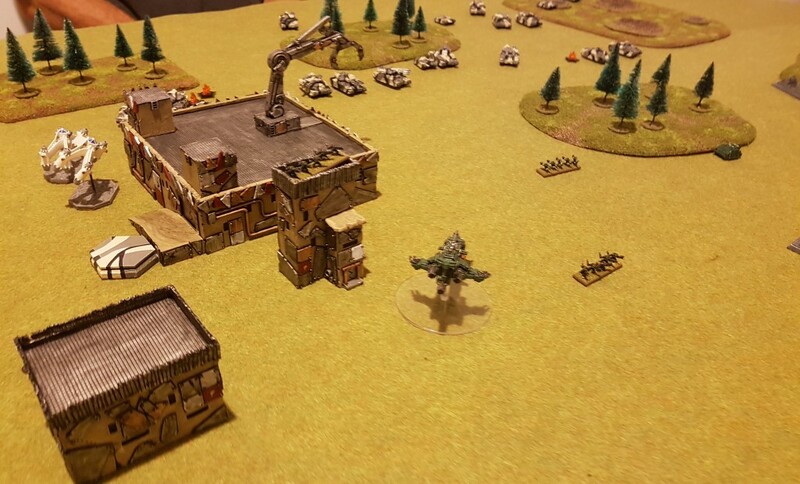 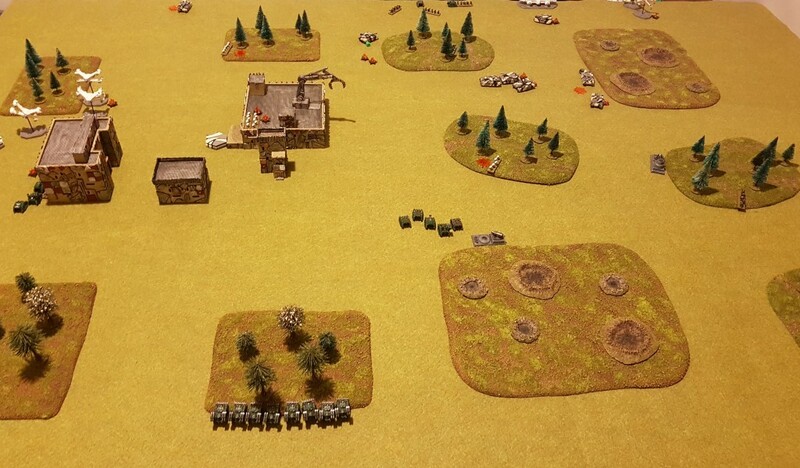 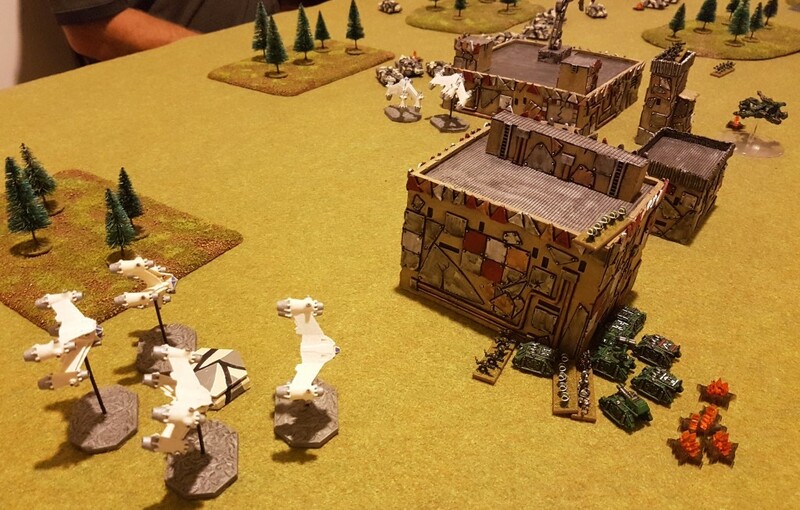 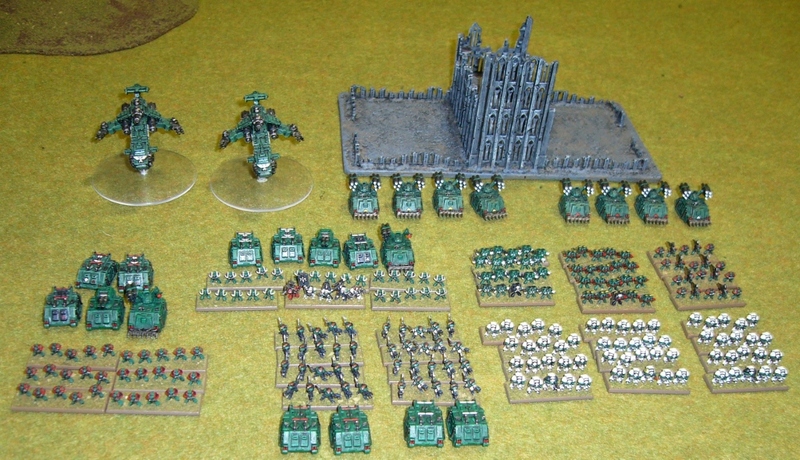 Another Epic Game last week, with my Marines taking on Andrew's Minervans. Andrew had added some cool looking B5 "Furies" as his Thunderbolts, models from Shapeways, to the rest of his HLS Models super heavy tank force. Here's the setup. 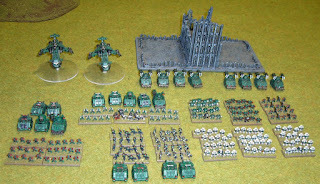 Minervans on the top right, me mostly bottom left. Marines win Strategy Roll and initial Whirlwind bombardment knocks Vultures from the fight. After further initial skirmishing I open up with an aerial assault versus his Command Tank Company. 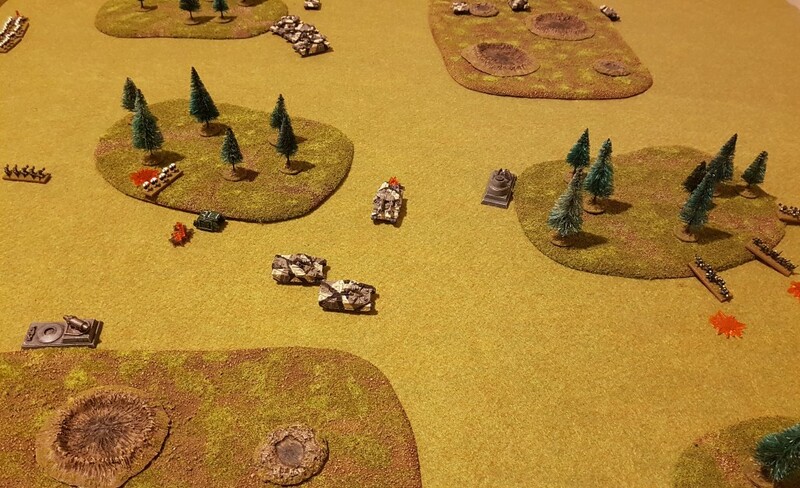 I lose most of my Marines in the two round assault, but the Tank Company is also shattered and retreats. 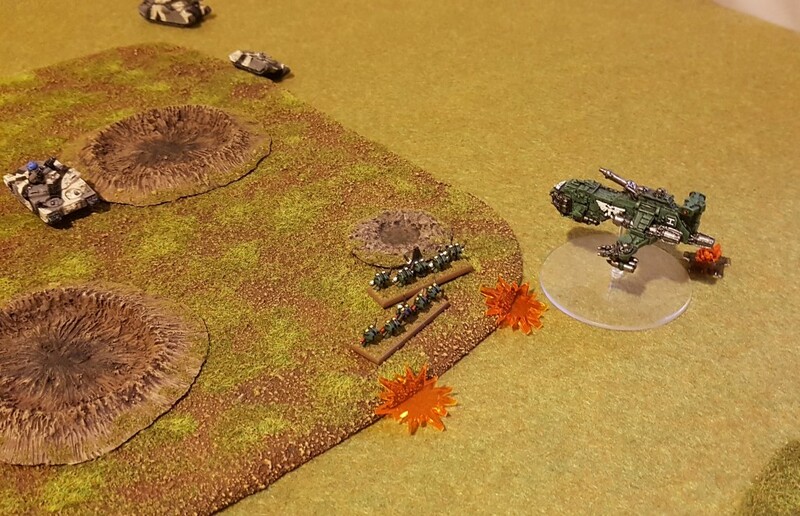 The grounded Thunderhawk is destroyed by a Shadowsword. 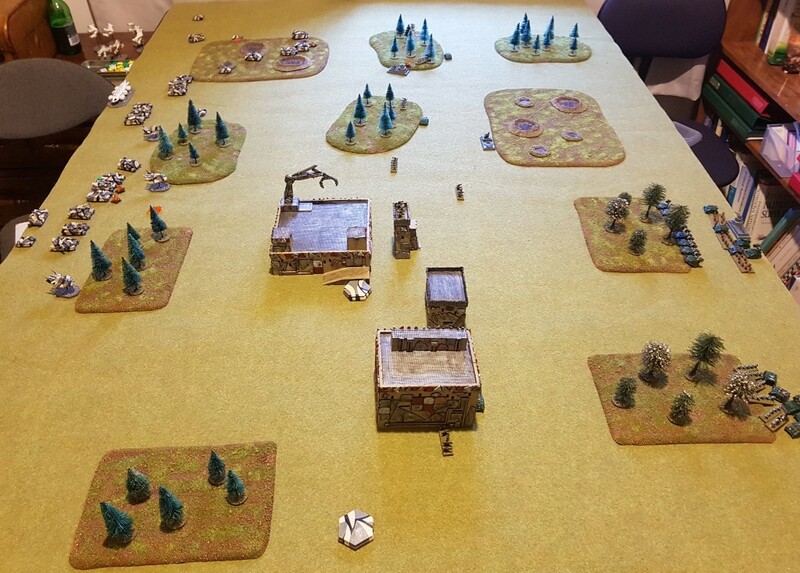 We both advance to contest the centre of the board. 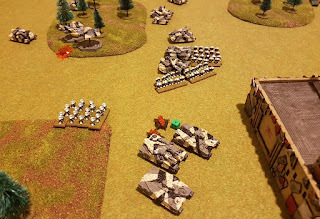 Tank fire takes a heavy toll against my Marine Infantry despite cover, and one of my Tactical formations is reduced to only it's transports. 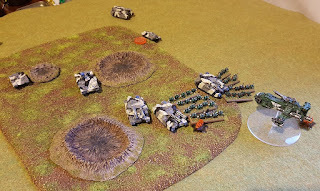 Though the retain assault goes less well and the second tank company holds out despite losing a tank. 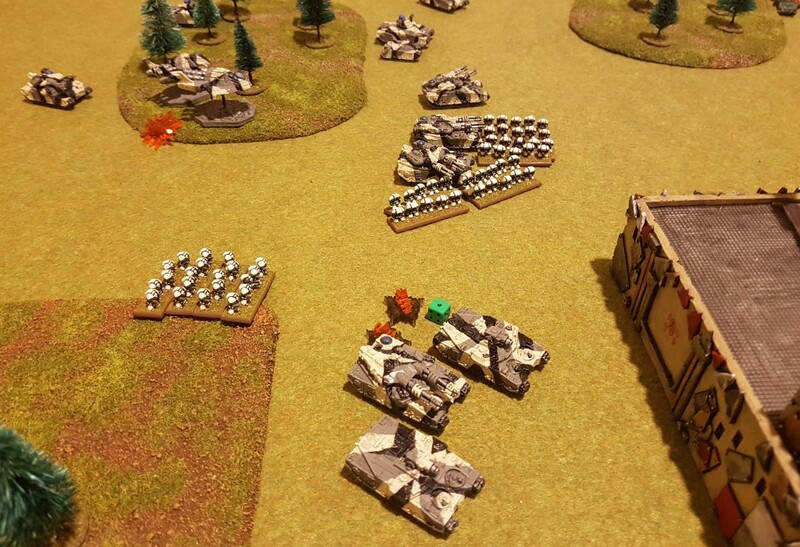 Other tanks rush and claim Take and Holds objectives, my broken Marine formations falling back. 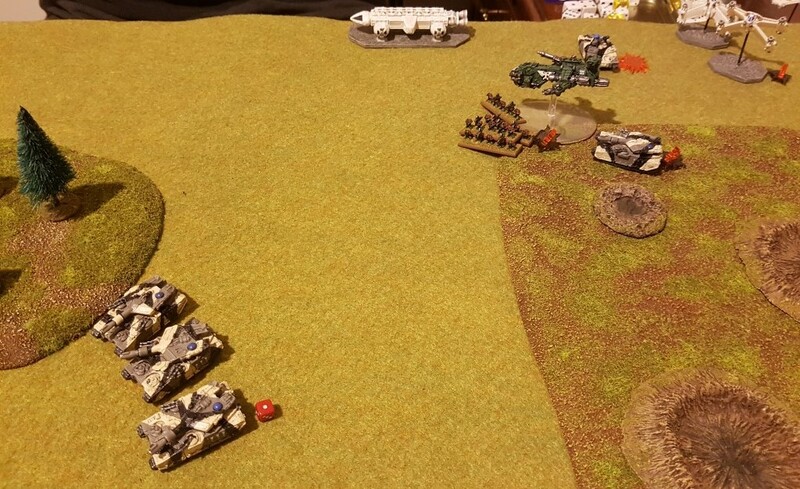 End of turn and and my Terminators have taken heavy casualties from Shadowsword fire, ceasing to be effective as an offensive force. 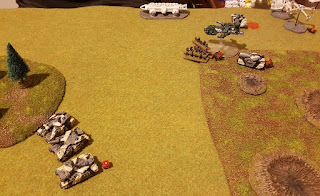 Turn 3 and Marines land to take the Minervan Blitz. 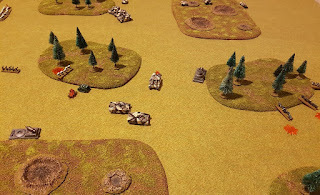 The Minvervans retake this, but are outactivated and can't hold or contest enough objectives. 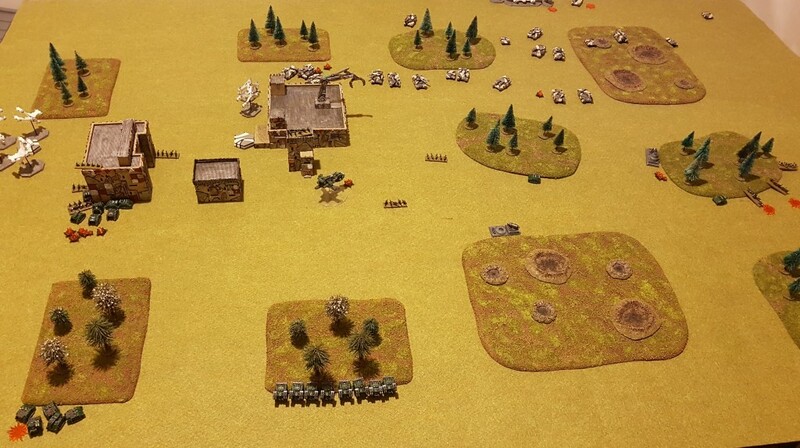 Marines win scoring Take and Hold, Break Their Spirit, They Shall Not Pass and Defend the Flag. 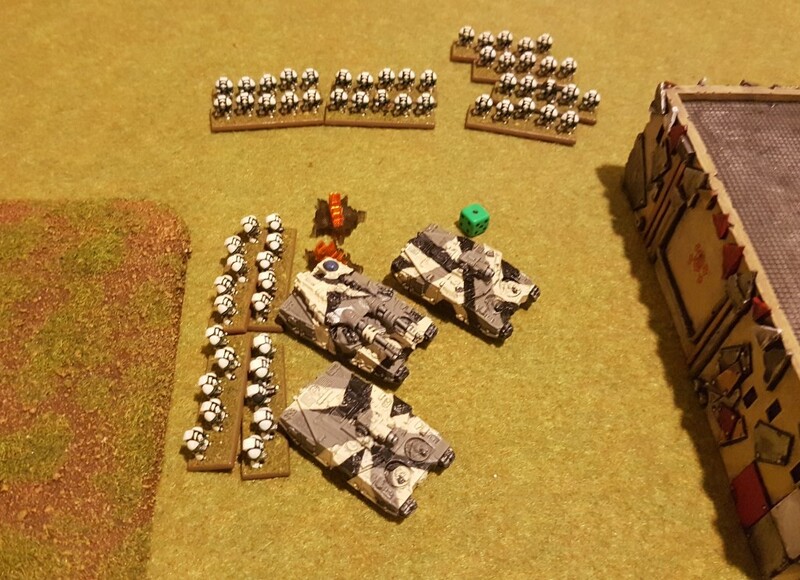 The Minervans suffered heavy losses with many criticals and failures to make their armour saves - in short I think I got lucky with these! 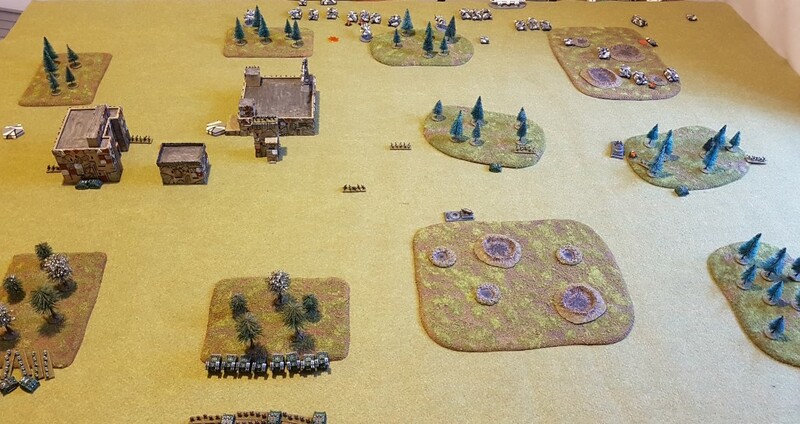 About 75% of the Marine Infantry was also lost though, so not a victory easily achieved despite the victory condition scoreline!